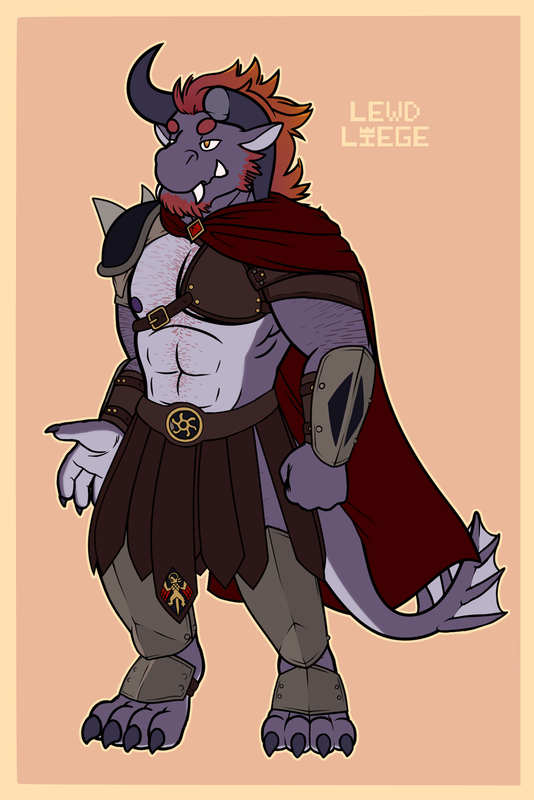 Rodric is a royal guard serving an as-of-yet unnamed lord/king, but is closer to Prince Balefor. He can come across as a bit of a yes-man, willing to agree to anything Balefor suggests but really he just finds life easier when going along with the prince's plans. Born to the Cinder clan, his physiology and talents are linked with Ifrit giving him some control over fire as well as a bulkier build. He cannot create fire out of nothing, instead usually using sparks created from striking the flint built into his armor and weapon to start a blaze.